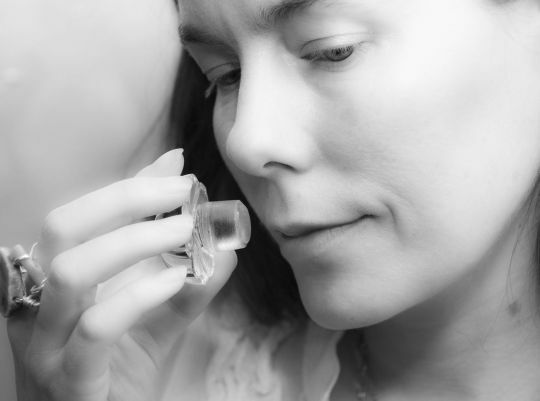 Olfactory art is on the cutting edge of the multi-sensorial art experience. More galleries and museums are working with olfactory creatives to enhance the art experience by expanding and building upon the visitor’s overall sensory experience. Olfactory art has been a growing trend in the past few years in Europe and Asia; now the US is starting to embrace the advent of the multi-sensory movement evidenced by an Olfactory Art show at NYC’s Museum of Art and Design, as well as the institution of a new “Award for Experimental Use of Scent” – the Sadakichi – at LA’s Institute of Art and Olfaction. When museum-goers enter the scent experience space they will be met with a large scale view of the artist Monet in his beloved flower garden and a subtle sense of greenery and moist earth; as if walking into a “real” garden. Before leaving the scent experience visitors are invited to take a scratch and sniff card of “Giverny In Bloom” as a memento as well as to bring the multi-sensory aspect of the olfactory art with them to enhance their interaction with the remainder of the exhibit.